During the winter, some people are more prone to feeling a bit depressed. It is harder to spend time outside, which is part of where we get Vitamin D from. Without getting out to get some fresh air, we can begin to feel cooped up, which can make us feel out of sorts. If you struggle with the winter blues, then know that there are things that you can do to help yourself feel better. 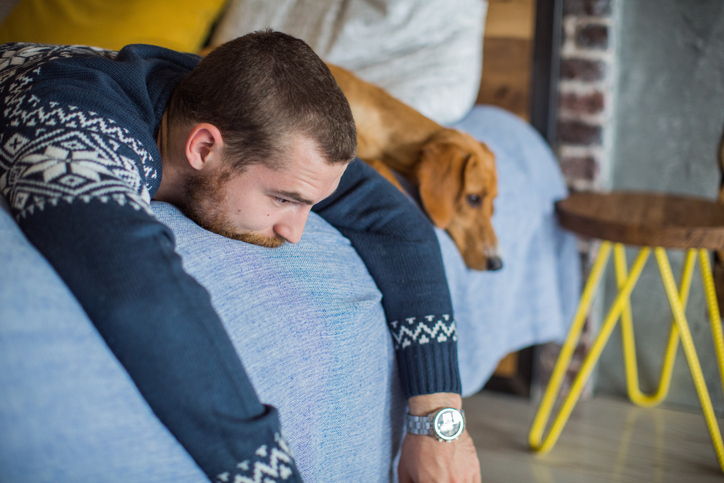 Here are three great options to help you overcome the winter blues this year. One of the most effective ways of battling back against the winter blues is to give your body what it wants most, light. When you are stuck indoors, you don’t get enough light, so give yourself more! Add more light to the rooms you spend the most time in. You can open the curtains, add a lightbox right by where you sit, and even add in more artificial light. The more light you get, the better! If you notice a slight improvement, but it’s not quite enough, enhance it with a Vitamin D supplement, and it should help your winter blues fade away. Don’t isolate yourself when you are struggling with the winter blues. You need to stay actively a part of what is going on. Isolating yourself is only going to make it worse, so keep yourself a part of your regular circles. Even if you don’t feel like going out, at least talk to them. Stay a part of what is going on, and keep up to date with what others are doing. This helps keep your winter blues from getting too deep, and it allows you to have the option of somewhere to go when you are feeling up to going out. When you are struggling with the winter blues, it is important that you try and help yourself feel good. There are many ways to go about doing this. First, you can volunteer to help others. This helps you feel good, and in turn, helps battle back those winter blues. Second, you can go out and exercise. Making your body feel good is a great way of keeping your winter blues in check. If you are going to make yourself feel good, another way of doing that is getting a massage since it boosts your mood, immune system, and helps with circulation. Finally, you can pick the foods you eat carefully. Some foods are great at helping you stay feeling good, like chocolate. Carbs make you feel more anxious and depressed after you eat them, and should be avoided. If you want to take good care of yourself, consider calling Academy Massage today. We can help you get a massage to bring about recovery from those winter blues, and we can also help you just feel better overall. Contact us today and find out which of our massage options are best for you in your battle against the winter blues! Why Should You Care About Aromatherapy? When most people think about aromatherapy, they automatically think about the aroma aspect and believe that they must be inhaling particular scents to get the benefits. However, the truth is, your body can benefit from using the essential oils of aromatherapy from massage just as much. By getting a massage with essential oils, not only do you inhale the scents that are thought to help with better overall health, but you also get the benefits of the concentrated item the oil came from. When your body is exposed to specific substances, it responds. Essential oils are concentrated versions of specific substances, allowing your body to respond positively to the application of these substances. By massaging them into your body, you get the feeling of the massage and the benefit of the oil. If you want to reduce swelling, you will use something like tea tree oil or lavender oil. For those who are seeking a way to remove anxiety from their body, they could still use lavender oil, or they could opt for rose oil or a citrus oil like orange or lemon. If you want to relax from pain, you may want to consider rose oil or frankincense oil, as they are commonly used to help during labor and known for their pain relieving qualities. For you to get the benefit of reducing blood pressure, consider a massage from Neroli oil. At Academy Massage, we carry an extensive selection of Myo brand essential oils, lotions, and bath salts, as well as essential oil diffusers, humidifiers, and lockets and necklaces – all perfect gifts for Valentine's day! We would be happy to discuss your particular needs and will recommend a product that will provide you with the most benefit. To find out more about how aromatherapy could help you, contact us today!